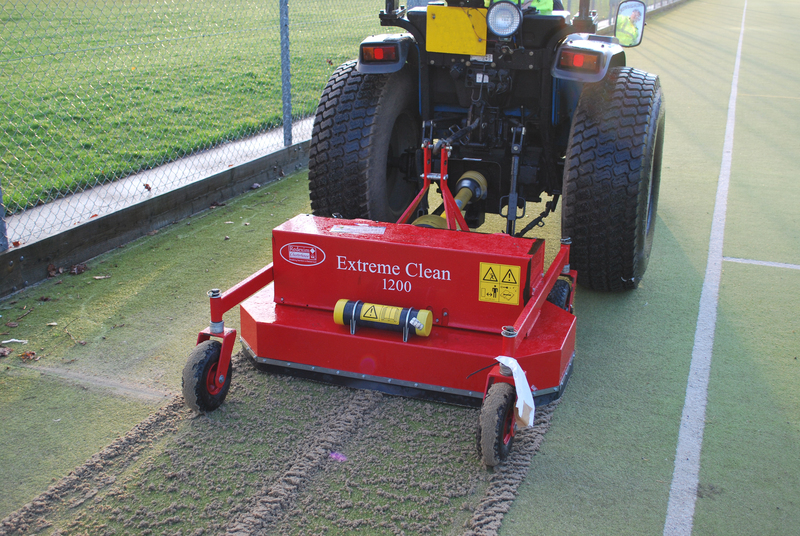 The Extreme Clean 1200 maintains synthetic turf surfaces that use sand as an infill mix for stability. The machine contains a set of firm brushes which rotate in opposite directions. The infill is vigorously brushed, bringing it up to the surface. 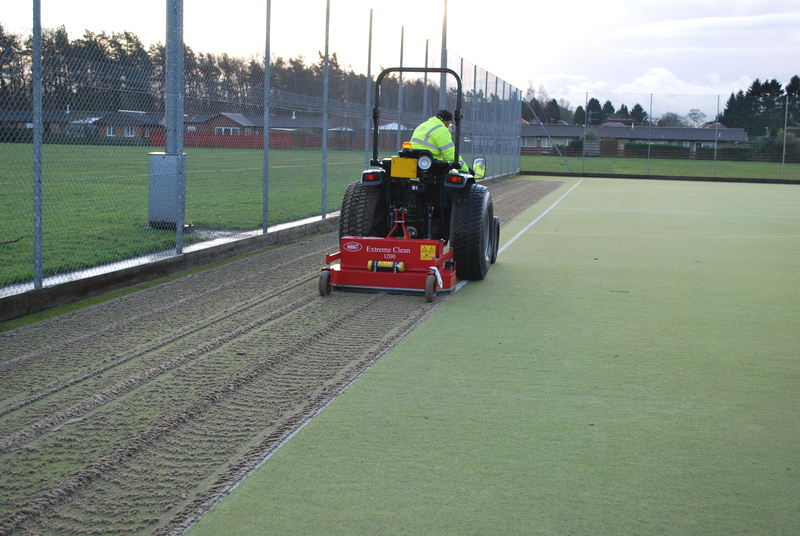 This is ideal to regenerate tennis courts, sand filled football and hockey fields. This considerably extends the effective life of an artificial surface. 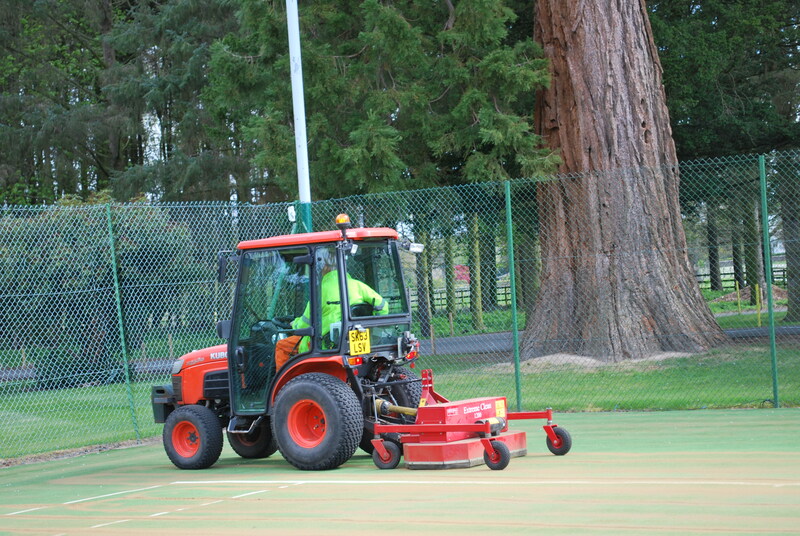 The brushes remove algae and moss, and de-compact the top sand layer, making it more permeable and aiding drainage.